It is a place where Desolation strangles Hope with witheredÂ fingers.Â The soul of Eternity has a voice. It is pure sound convulsion; it is harsh sound vibration. It speaks through Inade. Though its playground is beyond conception, where space and beyond space merge, the foundation for translation is cultivated here, on Earth, by the Masters of Dark Ambient, Inade. 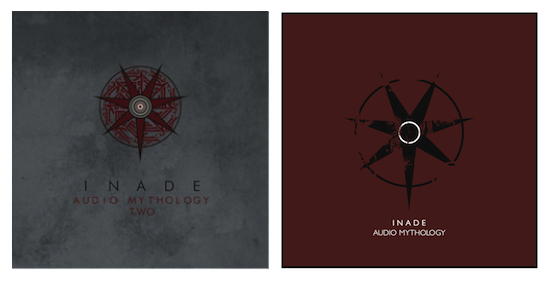 Audio Mythology II collects more loose strands and bleak, back-alley diversions, and gives them life. This is the breath of lost souls as they sigh, of shadows as they break into song, of unimaginable gods as they murmur and scheme. 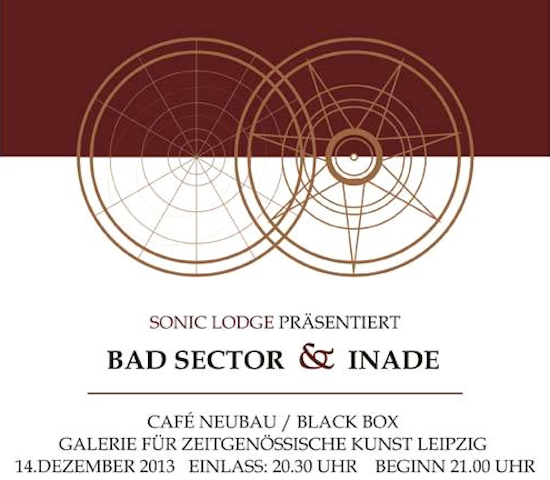 The saga of Sonic Pioneers continues with the second part of the collection from the archive of INADE's sound work. This release focusses on re-structured session material (1997-2011), V.A. compilation tracks (2006-2009, partly re-worked) and finalised studio recordings of live backing tracks (2012-2013). Available as limited vinyl edition with a different track order and mixing. The CD will be included as well in slip case with the vinyl. Edition of 300 copies. 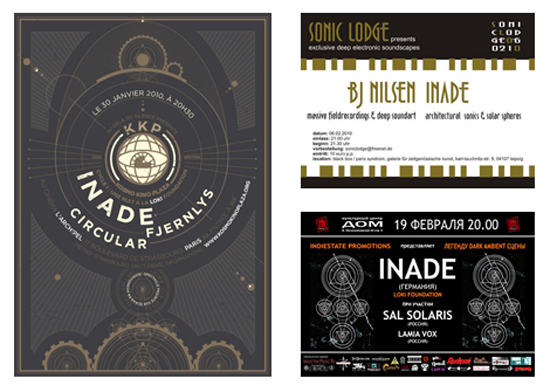 There's more to the history of the incomparable Dark Ambient Sound Sculptors, Inade, than meets the ear. 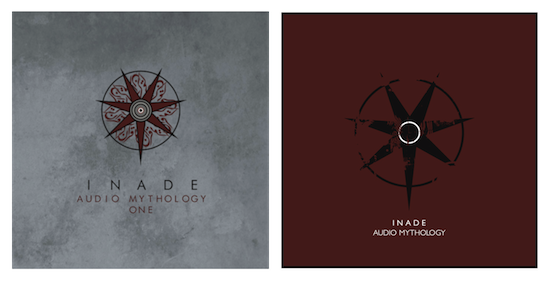 Audio Mythology One gathers unreleased material and compilation tracks, the shards and splintered remnants that litter the cosmic wasteland that is their sonic home. These are essential pieces of the vast network of sound manipulation that fills the blackened soul of night, the heart of primal urgency, haunting and dramatic, abounding with the ethereal mist of unease and dense ruminations that breathe and exhale awe with every resonant pulse. Masterful audio musings. A.M. ONE is an introduction to the archive of INADE's sound work. 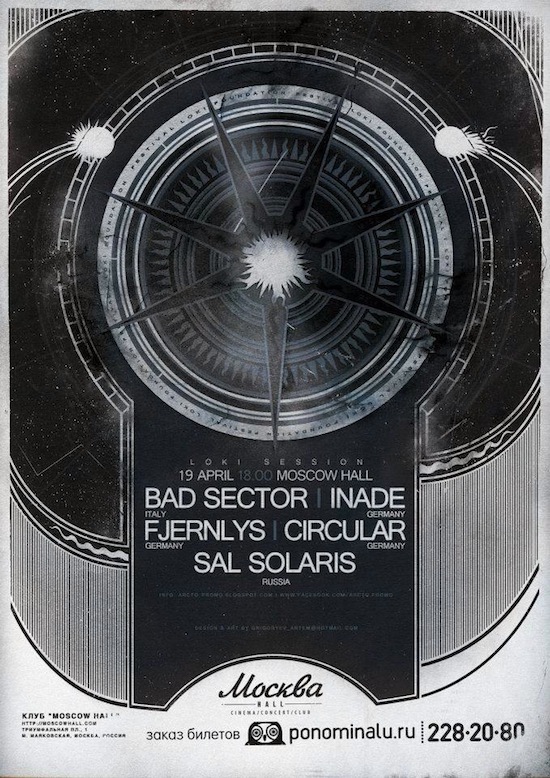 The first part of this series is focusing on unreleased and now finalised material from the recording period of "The Incarnation Of The Solar Architects" album, V.A. compilation tracks and re-worked studio material of live backing tracks. The vinyl edition comes in gatefold cover folder and includes the CD version as bonus packed in a slipcase. The tracks on the vinyl are mixed in two 22 minutes sets and appear in a different track order as on CD. Mastered for CD and vinyl by SECRETLAB. 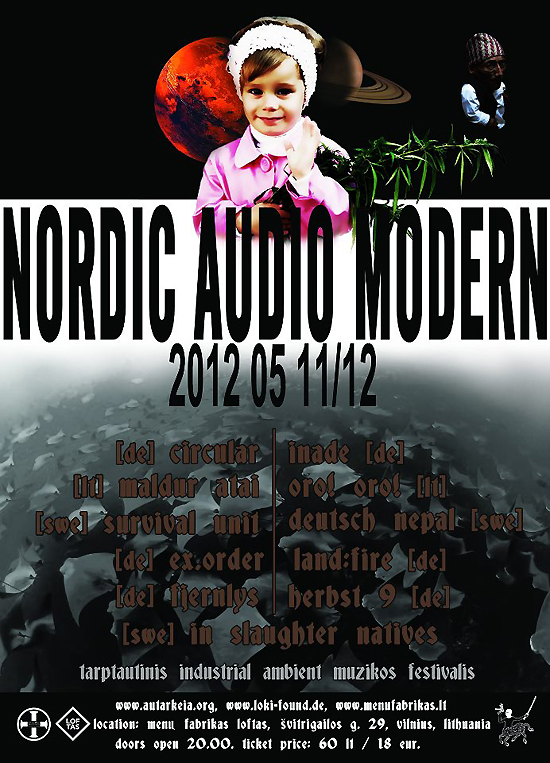 Limited edition of 300 copies only and exclusively available via LOKI/deep.audio and Malignant Records in the States. 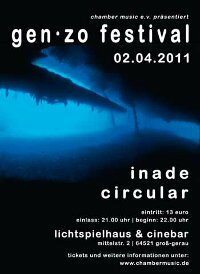 Special guest performance of Gerd Zaunig (Predominance) during the INADE set. A memorable event with fantastic concerts and great audience. Recorded during 2009-2010 at various locations this box set collects some of the most powerful moments in INADE's live performance history. 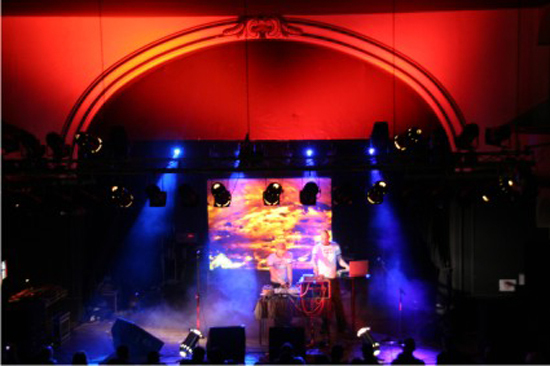 Well known tracks in expanded live versions and unreleased material were recorded on multi-track and mastered by Andreas Wahnmann at Secretlab to match the extraordinary standards of the studio recordings. Transcendent Absolute, Aion Teleos, Orbital Movement, A Lefthanded Sign, The Memorizated Magnified, The World Behind The World, Conquer Time, The Binoculars of the Decades, Canon Of Proportion, Chapel Perilous. Material recorded in Paris, Moscow, Wuppertal, Turku and Leipzig. CD, T-Shirt & 2 inserts. Comes in luxurious and factory produced box. Limited edition of 300 numbered copies only. 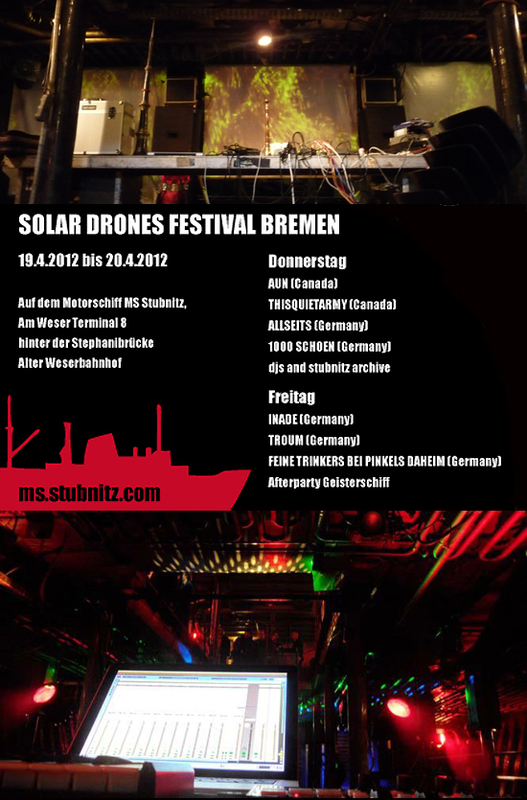 Inade is going to play at the Kuppelhalle on Monday, June 13th. 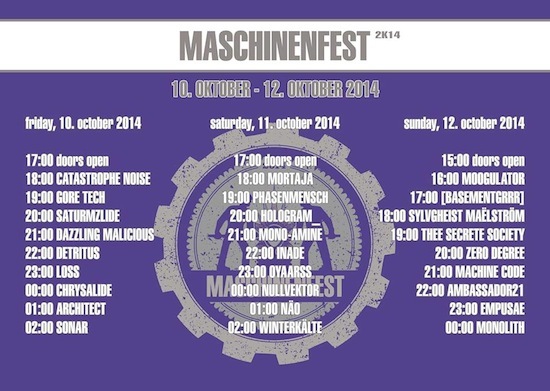 Check the Official Website of Wave-Gotik-Treffen Leipzig for more info. 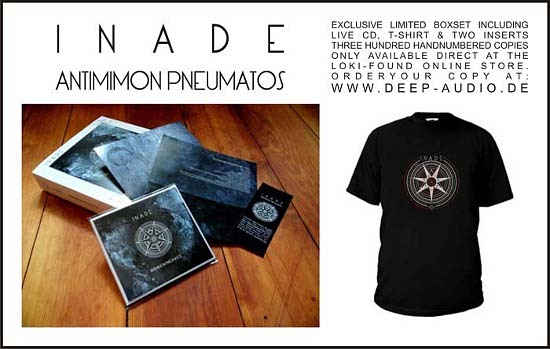 Available from May 24th: The vinyl edition of the latest INADE album! Includes two bonus tracks which were available first with the collectors box edition of the CD version. Comes in gatefold cover. There is a world that shadows our world, a world of mysterious design and unspoken secrets, of space that breathes and infinite echoes that never cease to cry. Mirrors that refract images into dark pools of cosmic nothingness. Inade explore these worlds on their latest masterpiece, The Incarnation of the Solar Architects, in which sound is utilized in a transformative manner, not only to focus on that which lies beyond and that which has never been seen, but to embrace the Darkness and let it wash over one's soul. The mythology that Inade has created touches that place beyond forever, yet now, through the insistence of that which lurks in the margins, a metamorphosis has transpired, in which the cosmos of self has awakened. If one believes that God is everywhere, so is the Darkness that came before Him. A Darkness thriving with anonymous ideals (the possibilities are endless ... ) and devious intentions, resplendent with mystical creatures that shamble through antediluvian kingdoms constructed from polished metal, luxurious crystals, and unlimited dreams ... though one would need new eyes to see them, and new ears to hear them. 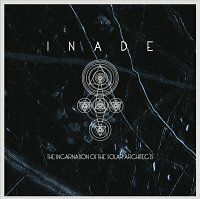 Inade provide the soundtrack--the frisson of unease is abundant, a churning, seething dread that veers into awe. It's up to the individual listener to listen intently, behind shuttered eyelids ... to see and experience the true labyrinthine hierarchy of black splendor that awaits. You can check out a new profile with soundfiles and video trailer for the new album at www.myspace.com/audiomythology. 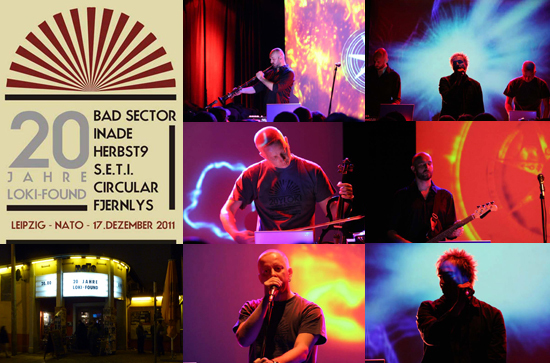 Kybalion was released with the VI CONGRESSO POST INDUSTRIALE CD by OLD EUROPA CAFE (Italy). This CD was only available at the same titled Festival. A fine document from the INADE and CIRCULAR concerts in December 2007 has been released via LOKI-SKOGHOLT. The DEEP SPACE ILLUMINATION LP includes four tracks by each project in superb quality. All material was directly recorded from the mixing desk and is mastered by Secretlab. Limited edition of 333 copies only. 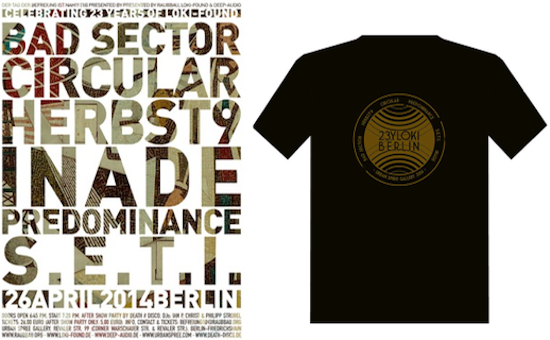 Sold out at the label and some last copies available at the merchandise section here. Three tracks of INADE were added to the INCENDIUM Vol. 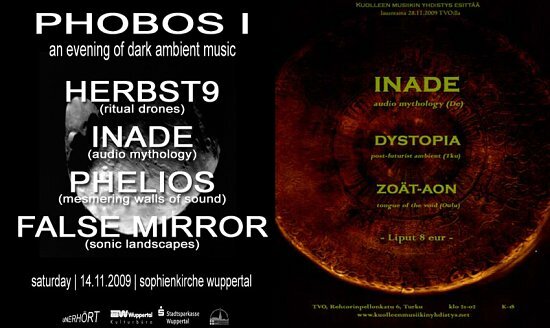 II CD label compilation of LOKI. No exclusive material but still a fine collection of ambient music for a nice price. The SAMADHI STATE CD is now available again in jewel case edition via LOKI or at the merchandise section. 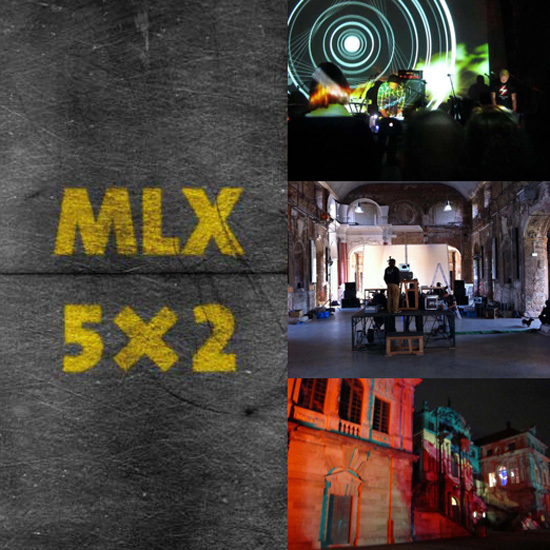 The first 5 shows took place and we would like to thank all the people for support, organisation and showing up! Due to the big interest we decided to re-release the legendary "Burning Flesh" material from 1993 with all the bonus material that appeared already on the limited CD-Version in 2000 in a new sympathically remastered version done at Secretlab in June 2007. The soundscape is a pitch-black ambience in which peculiar sounds scramble about, ignites a rising wave of gloom, driven by the slow clatter of tribal hooves upon unearthly terrain. Available from September 2007. Eleven years after its first edition Cold Spring Records (UK) has announced now finally the new re-press of the first INADE album Aldebaran. This third edition should be available during September 2007.